Some people might choose to back up their Blu-ray/DVD collection in the form of an ISO image and save them to their hard drive. With an ISO image of their favorite movies stored safely on their hard drive, they can use it to create a new copy of the movies anytime they want. If you don’t know much about the ISO image, learn about what it is and what movie ISO burning software you can use to burn ISO image to recordable discs. 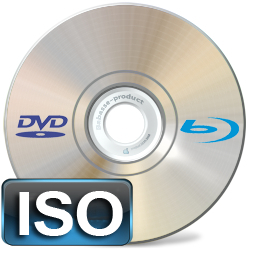 An ISO file made from a Blu-ray/DVD disc is the disc image of the Blu-ray/DVD disc. It contains all the data and the structure of the original disc. An ISO image file typically ends with the file extension of .ISO. By using disc imaging software, you can create an ISO image from your Blu-ray/DVD collection and store them on your hard drive. And the ISO image can also be burnt to a recordable disc to create a new Blu-ray/DVD disc. Below are several pieces of high-quality movie iso burner software you can use to burn your movie ISO images to Blu-ray/DVD discs. The Leawo Blu-ray Copy is originally a Blu-ray/DVD backup tool that is mostly used to copy Blu-ray/DVD discs. But Blu-ray/Blu-ray Copying is not the only thing it’s capable of. It can also copy or burn Blu-ray/DVD folder and Blu-ray/DVD ISO image to recordable discs. The overall interface is simple and it’s fairly intuitive and easy-to-use even for computer novices. Its main function is copying Blu-ray/DVD discs, either to computer hard drive or to new, recordable discs. You can also use it to create ISO images from your Blu-ray/DVD collection or copy the Blu-ray/DVD disc content directly to your hard drive. It’s a pretty versatile Blu-ray/DVD backup tool. Leawo Blu-ray Creator is from the same company as the Leawo Blu-ray Copy. It’s a powerful disc burning software capable of burning videos of all kinds of formats, Blu-ray/DVD ISO files and Blu-ray/DVD folders to recordable Blu-ray/DVD discs. And the ISO burning processing is extremely easy. You can use it to burn an ISO image to a new disc in just a few clicks. It can also help you burn your videos to Blu-ray/DVD discs for storage. It’s a nice tool for people who like to record their daily life with videos. It also has this interesting feature of creating photo slideshow videos and burning them to Blu-ray/DVD discs. 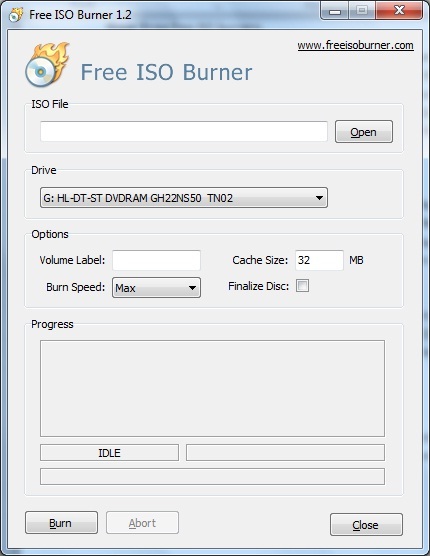 The Free ISO Burner is capable of burning ISO and CD/DVD image files to various CD/DVD/Blu-rays. It’s a simple and free ISO burning tool that keeps the ISO burning process as simple as possible. You can easily burn your ISO files without having to go through a series of complicated settings. In this part I would show you how to burn a movie ISO image to a blank, recordable disc using Leawo Blu-ray Copy. You are going to need a Blu-ray/DVD drive capable of burning DVDs and a recordable disc. Get them ready before you race off to the ISO burning process. 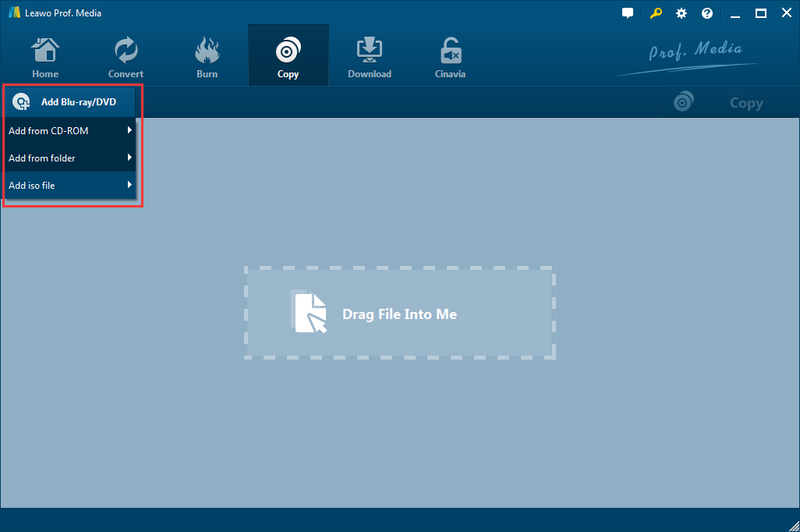 You can directly download Leawo Blu-ray Copy to your computer by clicking the Download buttons provided below. Note: Leawo Blu-ray Copy is a module in a large software suite called Leawo Prof.Media. It’s Leawo’s marketing strategy to sell some of its best products in a package. Start Leawo Prof.Media and you will see 8 buttons on it. Find Blu-ray Copy in the bottom-left and click on it to load Leawo Blu-ray Copy. There are two ways for you to import the source ISO image to Blu-ray Copy. You can find the source ISO image in Windows File Explorer and drag it directly to the blank area of Leawo Blu-ray Copy to import it to Leawo Blu-ray Copy. Or you can click the Add Blu-ray/DVD button and choose Add ISO file to browse for the source ISO image file. The following interface will show you 3 lists on the right column and they are video title list, audio track list and subtitle list. You can select the content you need with the 3 buttons below. To directly burn all the content to disc, directly click on the Full Movie button to select it. If you only want the main movie and don’t need other video clips, click the Main Movie button and the program will help you pick out the longest video from the video title list to burn to the disc. You can only keep one set of subtitles and one audio track in Main Movie mode. You can also use Custom Mode to freely choose the video you need and have the unwanted videos removed. If the ISO file contains too many videos and you are not sure which videos are the ones you need, just double click on one video to play it with the video player on the right side. Below the 3 copy mode buttons is the button for setting disc type. There are 4 types of discs on the drop-down menu you can choose: BD50, BD25, DVD-9 and DVD-5. You should probably choose one according to the type of disc you are burning the ISO image to. Connect your DVD burner to your computer and insert the recordable disc in it. And then click on the green Copy button above the video player. A sidebar would emerge from the right. To choose the recordable disc in your DVD burner as the target of the ISO image, check the third option on the top and select the recordable disc from the drop-down menu of the third option. And then you can start to burn the ISO image to the disc by clicking the Burn button at the bottom. 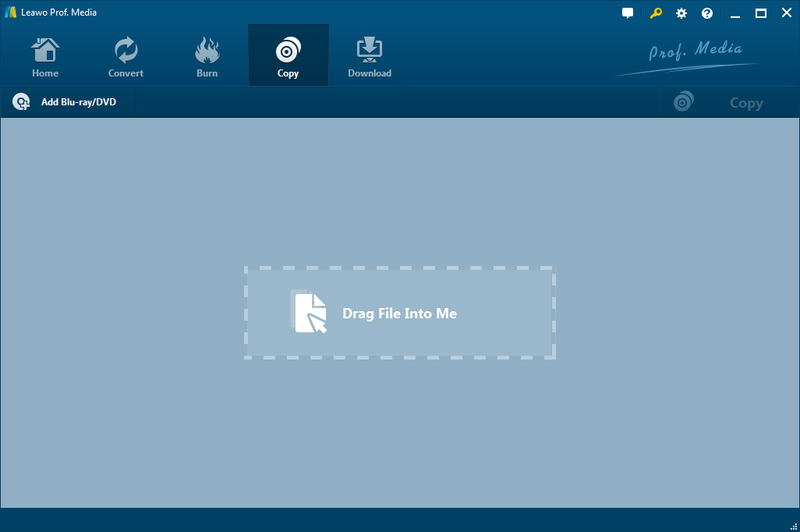 Leawo Blu-ray Copy is one of the best Blu-ray copy programs you can find. 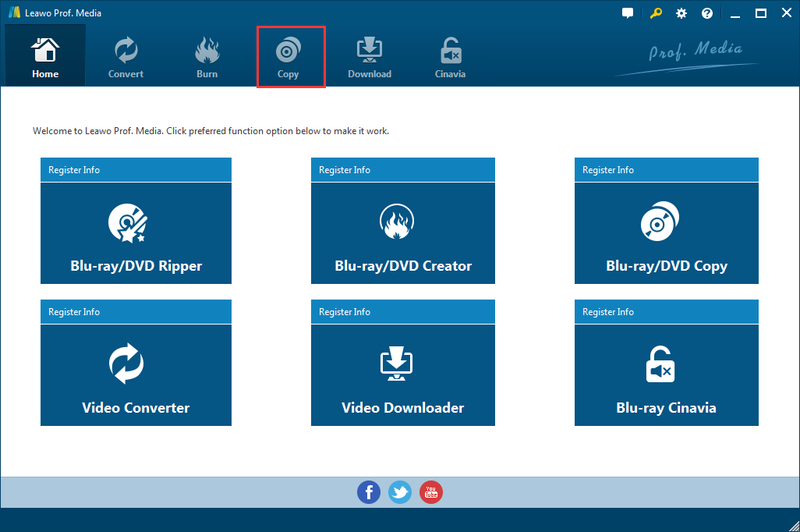 Other than burning ISO images to blank discs, you can also use Leawo Blu-ray Copy to copy Blu-ray to PC to back up your Blu-ray collection. And there are more things you can do with Leawo Blu-ray Copy. 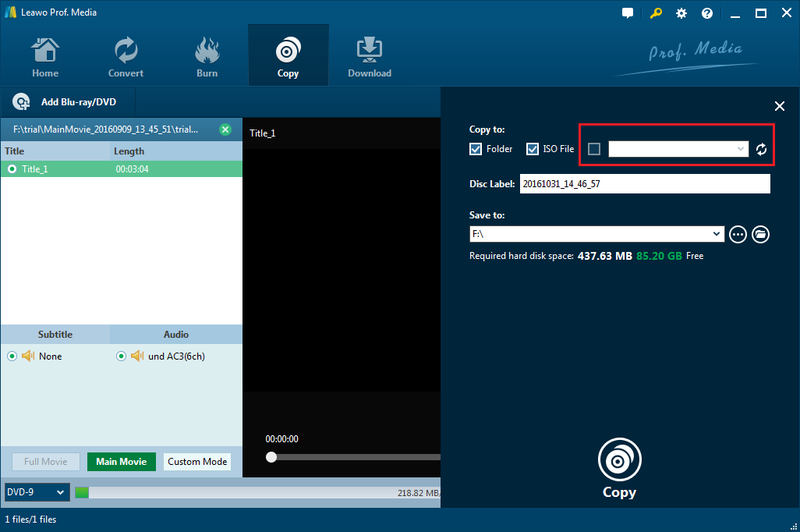 Below is a video guide that shows you how to copy Blu-ray with Leawo Blu-ray Copy, the steps are basically the same as burning an ISO to recordable discs. So if you are not clear about the ISO burning process, you can check out the video for more detailed instructions. If your purpose of burning the movie ISO to a recordable disc is to watch the movie inside, you can simply try opening it on your computer. There are programs that can directly read and play an ISO image on your computer. Here’s one video player I found that can directly play ISO files and it’s called Leawo Blu-ray Player. Coming from Leawo, the Leawo Blu-ray player is a powerful Blu-ray/DVD player as well as a video player. You can use it to play common and commercial Blu-ray/DVD discs with copy protections. It supports all kinds of Blu-ray/DVD discs as well as a wide range of video and audio formats. You can also find Blu-ray/DVD ISO image on the support list of Leawo Blu-ray Player. The Blu-ray Player can work on most versions of Windows including Windows 7/8/8.1/10 and it’s completely free. Considering that there’s no built-in Blu-ray/DVD player program on Windows 8/8.1/10, Leawo Blu-ray Player would make a great program for you to watch Blu-ray/DVD movies on PC. It also has a Mac version that works with most macOS versions. Another merit Leawo Blu-ray Player has is that it doesn’t consume your CPU’s processing power when playing a Blu-ray/DVD disc. Most of the time it will only take about 4$ of your CPU’s processing power, giving you the room for opening and running other programs at the same time without slowing your computer down. Here’s how to play an ISO image with Leawo Blu-ray player. 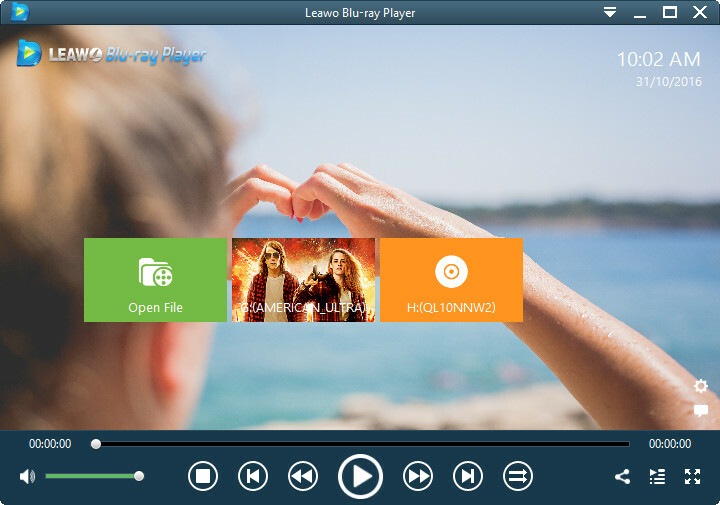 After downloading and installing the Leawo Blu-ray Player on your computer, start it to enter the main interface of the player. There should be a Open File button on it. Click on the Open File button to browse for the source ISO image you want to play. And the program will start to play the movie in the ISO file automatically after it’s loaded to the program. Leawo Software has been focusing on providing multimedia solutions to people around the world. If you dig deeper into the company’s product line, you would find a lot of useful programs provided by the company. Go check out Leawo’s promotion page and see if there’s any discount available. Leawo Software will offer great discounts on its promotion page periodically.